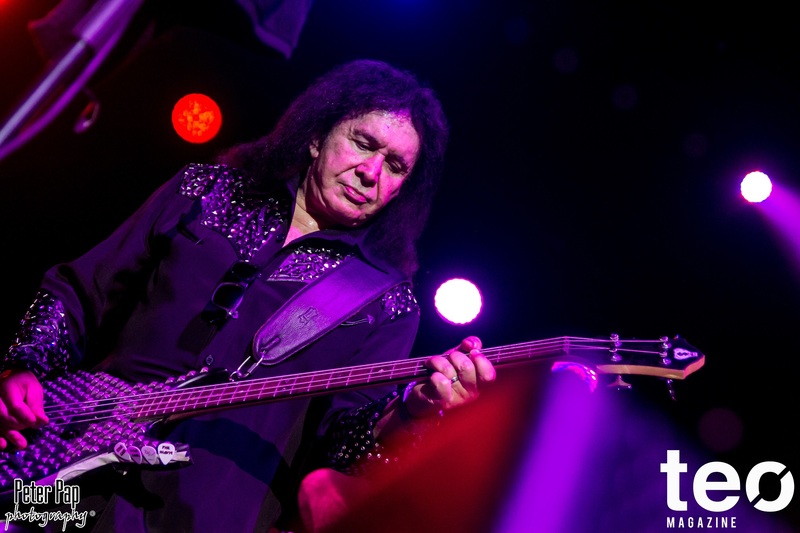 Last night saw superstars Ace Frehley and Gene Simmons take to the stage of Festival Hall for a double bill that left the KISS fans of Melbourne giddy with excitement. Ace kicked off the evening with a slew of crowd-pleasing KISS covers, including ‘Parasite,’ ‘Love Gun,’ and ‘Shock Me.’ The Spaceman was notably low on energy as he ploughed through his hour-long set, although Gene’s backing band that accompanied Ace added some pep and vigour to the proceedings. The crowd didn’t seem bothered by the man’s minimal banter and stoic stage presence, however, plenty of horns were thrown up during his set while smartphones steadily snapped away. 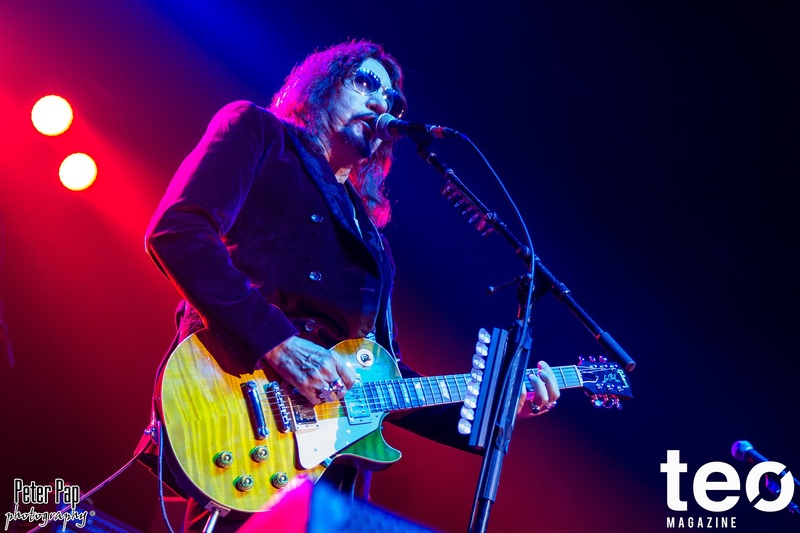 Ace capped off his set under a lone spotlight with his signature smoking guitar solo before launching into the one-two punch of ‘Detroit Rock City’ and ‘Cold Gin,’ which had the crowd singing along and tapping their feet. Gene took to the stage a mere ten minutes later. The Demon’s set started on a high note with a driving rendition of ‘Deuce’ followed by ‘Shout It Out Loud.’ Already, Gene was much more energetic than Ace and indulged the audience in plenty of banter and back and forth. One of the evening’s highlights was when Gene invited 10-year-old guitar prodigy Zane Blumeris onstage to perform ‘Calling Dr. Love’ with the band. Pulled from the cast of Australia’s School of Rock Musical, the child, dwarfed by his axe, earnestly thanked Gene and the audience before shredding up a storm. Similarly, punters were treated to the powerhouse vocals of Amy Lehpamer who joined the band for a rendition of ‘I Was Made for Loving You.’ However, it was after this point that the show took a turn. The crowd seemed to be getting impatient with Gene’s chit-chat and refused to partake in a whole-audience sing-along he tried to initiate. Meanwhile, an unrelated fight broke out in the stalls and alcohol was thereafter cut off throughout the venue. Despite these events, Gene and his band remained in top form and continued to blitz through KISS classics with precision, energy, and a decent helping of Gene’s quintessential ego. The evening wound up with Ace returning to the stage for ‘Let Me Go Rock ’n’ Roll’ and ‘Rock and Roll All Nite,’ which got a fantastic reaction from the crowd. Although the show lacked the blood spitting, face paint and pyrotechnics of a typical KISS show, it did tick enough of the boxes for a solid tribute night—Ace and Gene played most of the legendary band’s favourite songs, and seeing two members onstage together would’ve given superfans a kick. Gene’s liveliness as a 69-year-old musician is to be commended, with last night being a testament to the fact that The Demon’s still got it. Melbourne and Brisbane tickets available here. Find more info at genesimmonsaxe.com and the links below.